We carry out all aspects of structural building works, from carpentry specialists, plastering, new builds, extensions, brick, block and stone work excavating foundations to fitting the final ridge tile to your roof in the following areas; New Quay Ceredigion, Cardigan, Newcastle Emlyn, Llandysul, Lampeter, Aberystwyth, Aberaeron and all surrounding areas. We can organise a build and design package and as a company we carry out all construction works to the build including, concreting, block, brick, stone work, roofing, plastering and carpentry, footpaths, drainage and landscaping. We construct complete new roofs, forming structures and coverings I.e slating. 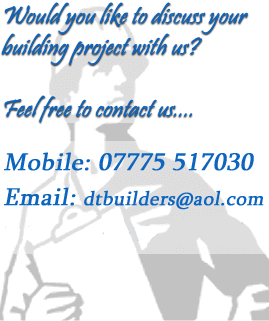 We carry out maintenance, repairs, insulating and re-roofing. We work closely with ecologists to ensure no animals or habitats are harmed. We can carry out various works from small garden walls to large retaining walls, small porch extensions to complete house build. We carry out restoration works to listed buildings including re pointing and take down and re-builds. We work closely with ecologists to ensure no animals or habitats are harmed. We carry out works including concreting of foundations, laying concrete slabs for various uses, footpaths and ramps etc. We carry out raking out and re-pointing works on brick, stone and block work, using various styles of pointing and materials, depending on type of building. We work closely with ecologists to ensure no animals or habitats are harmed. Our skilled tradesmen carry out bespoke builds to high standards designed to your specification, we take our clients requirements seriously to ensure we deliver products to meet our clients needs. Our works include fitting kitchens, skirting, door fitting, new roof structures, timber frame buildings with larch cladding, timber window repairs and restorations. We carry out different types of plastering from modern Gypson based products to horse hair and lime. We also carry out cement based external rendering and lime external rendering. The areas we incorporate our plastering are from new builds and extensions to refurbs, barn conversions and listed building restoration.